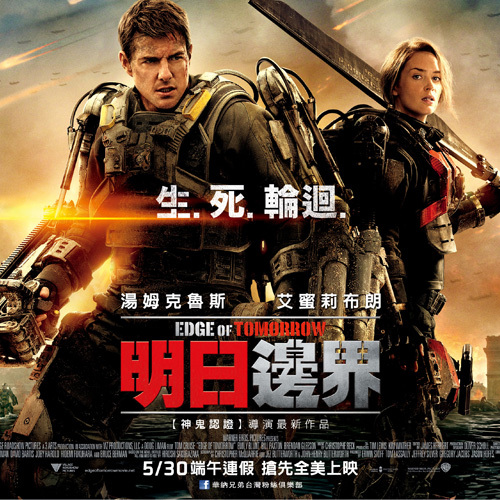 As an action-packed, special effects-driven, sci-fi blockbuster, The Edge of Tomorrow is pretty entertaining. It’s not as groundbreaking as it thinks it is, but neither is it outright dismissible. On a scale from “Yay!” to “Nay!”, it’s a solid “Sure!” In fact, I was prepared to not really like it, but as I will usually give any potentially mind-bending psuedophilosophical movie a shot, I trudged along inside and I was pleasantly surprised. Of course, part of the horror of Cage’s situation is the death and destruction all around him. If Connors had to see the same people being dismembered every day on Punxsutawney’s knoll, we’d expect a much different heroic journey. But Cage is ham-fisted so forcibly into the plot of this story that it almost destroys the narrative before it can even be built. His character is literally dropped into a situation that he is not even prepared for, so much so that I thought this was going to be the “hook,” that Cage was the victim of some virtual reality and would wake up outside the matrix, so to speak. But no. In this world apparently the war is so crucial to be won that they will hijack completely untrained personnel and put them on the front lines. Perhaps K Troop was actually made up from the secretary pool that week. What it does is to make it hard to take the main character seriously. There’s no reason to see his attempt to win the war as genuinely striving for a personal or sacrificial goal– and the end of it all he’s still just trying to get out of combat duty, even if he has to blow up the Big Bad in order to do it. Yes, there is a little bit of camaraderie between Cruise and Blunt’s characters, which thankfully is not necessarily a romantic lead kind of interaction but is moreso a very real partnership/friendship forged by wartime. It’s a credit to the screenwriters (Christopher McQuarrie, Jez Butterworth, & John-Henry Butterworth) since it stays true to the fact from the perspective of Rita Vrataski/Emily Blunt, the events she experiences are really all in the space of 24 hours or so. It’s an easy fact for the audiences to overlook, as “we” grow with Cage in his understanding of the world and of his partner, but her character has a completely different experience. Both Groundhog Day and Edge of Tomorrow have very limited points of views they share with the audience– there is never a sequence or scene where the point-of-view hero isn’t there. But what EoT does do that G-Day doesn’t is play around with this set up. There’s a key sequence between Cage and Vrataski in the fourth act, when the two of them share some (relatively) intimate quiet time in the field. That’s when the audience (and Vrataski) learns that we *haven’t* always been there with the hero, that Cage has actually been on many more of these time-loops, ones that we didn’t see and where the heroes still continually fail. That’s a nice narrative touch and keeps the audience on its toes. The sound and visuals in this movie are great. The battle scenes, especially, are more vibrant and visceral for the intensity of sound, and there is movement on almost every part of the scene. That said, making the aliens nearly robot-like was perhaps not the best decision, as it makes them less interesting, visually. Are they robots or are they organic, since blood is a central component to the story? Look, no one wants a repeat of Starship Trooper’s swarm of bug-aliens, but we also don’t want still more Transformers. The designs are intricate and seem to involve many moving parts, but we can’t appreciate them when they are jump-cut and flash-panned so quickly that it doesn’t matter if you didn’t render the frame in postproduction. Most of the memorable horror-aliens like, well, Aliens (and Predator) still manage to get in a good close up every now and then. I guess the design doesn’t really matter, though. We’re given no real reason why the aliens are attacking (“minerals,” some pub-goer speculates) so there’s no real reason to invest wonder in these monsters. They really are just robots, after all, then. Or perhaps they’re zombies, as they simply attack with base-level ravenous instinct. Or maybe, like the original War of the Worlds, we’ll never really know, because they are, in fact, “alien” to us. And is that the takeaway here? That we humans will be caught up doing whatever takes, over and over again, until we finally achieve our goals over whatever faceless enemy is overwhelming us? I suppose that’s affirming on one hand, but on the other, that’s a horrible slog to have to go through. So we’re back to the existential horror I mentioned before– just keep doing your daily routine, until you finally get it right and can stop doing it anymore. Yay, us! Ladies and Gentlemen, LOOK at Captain Marvel. And take a moment to realize what a tremendous opportunity we have here. Here is our chance to get in the forefront of the public consciousness– a strong, confident and capable woman with the power, flash, and style to capture the imagination of moviegoers everywhere. I’m talking nothing less than the next heroic icon! But… how? What’s her story, exactly? What’s that? An Avenger in Space. No? It’s more complicated than that? Well, explain it to me like I’m, I dunno, eight. Well, it’s a fact, and perhaps a sad one, that comicbook movies and comicbook comics are, yes, quite different, and we’ll have to make a slightly different story than … whatever you call THAT explanation. To start with– Carol Danvers is already a hero, thanks to a high-octane Air Force adventure where Carol led her squad, the Warbirds, to save the world from terrorists. Roll credits, complete with press junket, fan reactions. But all doesn’t sit well with Carol. Her reward is to be shunted to a largely ceremonial desk job, and what’s worse, there are some things about her previous adventure that doesn’t add up. She starts to investigate, running into dead ends, and worse. She finds a fellow solider is running down leads, too, but Walter Lawson seems to have his own agenda. All things add up to “It Came From Outer Space” (50s style) and come crashing together, forcing Carol and Lawson to escape from super-secret Air Force base, and in the ultimate battle over something called a Psyche-Magnetron, Lawson is revealed to be the alien Mar-Vell, he dies a spectacular but mysterious death, and Carol’s body is changed, charged with alien energy and capable of absorbing the power of stars! And that’s just the second act! 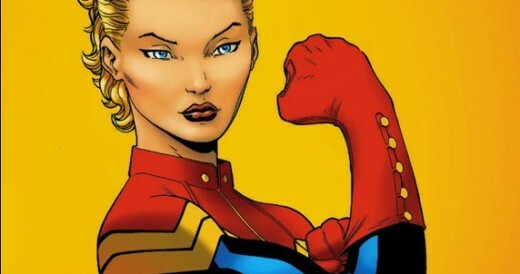 Realizing the need for both secrecy and exposing the conspiracy, she fashions a mask and dons the identity of Captain Marvel! The Captain now begins to root out the influence of alien Kree among us, battling dangers as real as Sentry robots and Kree Purifiers, and as intangible as panic and xenophobia. Which, of course, was the Supreme Intelligence’s plan all along, since it wants to use Earth as its case study in emotions and petri dish of human experiments. Still, Cap’n M has accelerated the timetable. 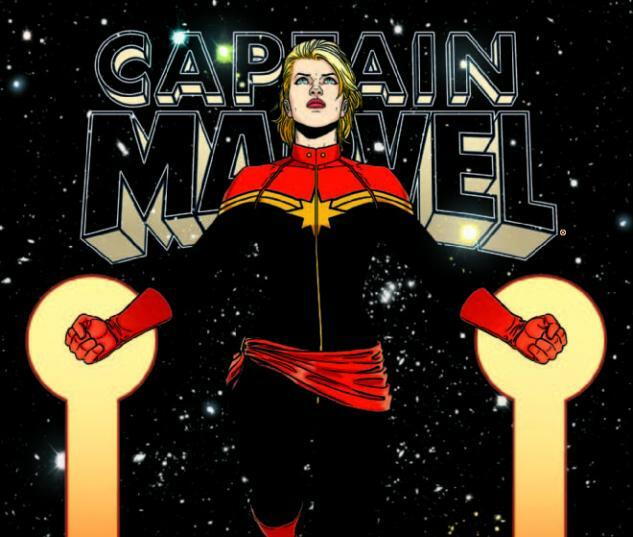 It is time to use the Psyche-Magnetron to destroy humanity, and only Captain Marvel, with help of her Warbirds, can expose and take down the Kree threat once and for all. And thousands of little girls want to dress as Captain Marvel for Halloween that year. Good news! If you liked X-Men: First Class, then you will really like X-Men: Days of Future Past. The same things that a lot of people love about X:FC show up again in X:DoFP. For example, having the movie largely a period piece, in 1973, rather than the present day or some vague “not too distant future.” For another, having the focus on a core group of conflicted characters, namely Xavier/the Professor (James McAvoy and Patrick Stewart) and Erik/Magneto (Michael Fassbender and Ian McKellen) and Raven/Mystique (Jennifer Lawrence). In fact, I appreciate the last one the most, as it creates a very personal drama that is balanced by a very epic scale. The setting ranges from both past and future, and all over the globe – Russia, China, New York, Paris, Washington DC. The stakes are quite high, too – nothing less than the destruction of life on earth, after all, and the conflict of human/mutant is not left to some abstract reference; we actually get to see this very-real conflict in a framing device as Sentinel robots battle older-Professor and older-Magneto and other familiar X-Men. And what a battle it is. There is a creative use of powers, here, as characters use their powers in genuine teamwork for the most effective moves. Watch for Blink’s (Fan Bingbing) portals to play around with physics, a visualization of power that is more effective on film than on a comic’s page. And I never knew I was so excited to see Warpath on the big screen, here played by Booboo Stewart, along with Storm, Iceman, Sunspot, the Professor, Magneto, Colossus, and Wolverine. The oppressive and hopeless tone is exaggerated here. Heck, their final stand takes place inside a tomb! But thematically, they hold their own because of their teamwork, best expressed with Bishop (Omar Sy) who can absorb and redirect others’ energies, and, of course, Kitty Pryde (Ellen Page) whose out-of-phase powers can also send others’ spirits back in time. If you are hoping to see more of these characters, however, you will be disappointed. Because the key to their teamwork is in the past, when there wasn’t a team at all. So Wolverine gets sent back in time (his spirit is sent into his past-self’s body) in order to make sure younger-Xavier and younger-Magneto can play well together and stop Mystique from making a big mistake. Let me just say BEFORE THE SPOILERS that it’s a good thing you’re smiling so much at the look and casting and costuming and sets and CGI/animation and everything. Because these smiles are enough to distract you from squinting a bit at the plot. Don’t look to too hard, or annoying things like QUESTIONS will come to your mind. SPOILERS! Now in Question Form! So… in the future, why do the X-Men try to send someone’s spirit back AT THAT POINT? Surely they would have had this conversation prior to their, uhm, Really-The-Last-Stand-This-Time. They’ve been using Kitty Pryde’s power for a while, right? so maybe I missed the point where suddenly it seemed like a good idea to use it THIS way. Also, WHY does Magneto say they need his past-self when clearly they don’t “need” him since they reach Mystique in the moments she first tries to shoot Trask? I suppose past-Xavier needs him since he won’t know where Mystique is, but older-Magneto wouldn’t have known that, right? Are we REALLY supposed to expect that Mystique has NEVER killed anyone prior to her confrontation with Trask? That’s a LOT of action for her to have seen to have “never” killed anyone. Why is Trask in some random meeting with the President’s cabinet to be “glad he asked that question” about the Sentinels? Isn’t he just a businessman? How many days was Wolverine in the past, and why doesn’t it take the same amount of “time” in the future? And, of course, it’s best not to think about the whole time travel thing anyway, as it leads to questions like: how does Old-Wolverine return to his body which will become New-Wolverine the moment the timeline is “fixed” into it’s new version of history? It’s a neat idea, like your time travel is all a dream and doesn’t become “real” until the moment you wake up, but there are some philosophical implications to physics and identity and paradox which I guess you just have to accept in a superhero movie. Kind of like the answer to why Wolverine doesn’t “lose it” every time he doesn’t “think calm thoughts.” There’s only one time when it would be dramatically important for him to do, and so that’s when he does, despite clearly many other opportunities to do so. The film takes these moments as it needs them to keep the plot and characterization flowing. It’s quite impressive that it gives the audience an important emotional or expositional beat just at the right time, so thank you screenwriter Simon Kinberg and director Bryan Singer, although it’s not glowing praise as I’d appreciate a bit more logic to the flow as well. Clearly, this film is really all about Professor X/Charles Xavier, as played by McAvoy. 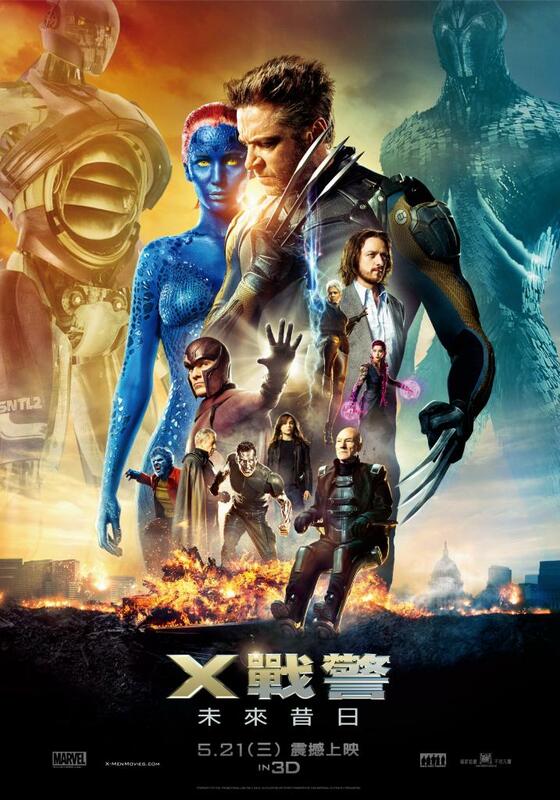 Despite this film’s billing as an ensemble cast filled “with the most X-Men characters ev-ah! !”, it really all comes down to Xavier’s heroic journey. His is the character arc that starts him off in the lowest place for him to be: crippled emotionally but not physically, a man who once helped mutants is now one who has no mutant powers. He must receive help from his fairy godmother, here played by Wolverine, and must go on a series of quests to return him to his rightful place. To be clear, yes, this means that Wolverine is actually more of supporting character in terms of plot, despite his placement on a movie poster. The guy has good lines, helps move the plot forward, and is recognizable/ marketable, but in fact he doesn’t have any sincere motivation, character growth, or internal struggle. He does what he needs to do so the plot can advance, which again is pretty much like all those “Just Because” things I talked about. Thematically, it’s interesting that Xavier’s turning point is in a big speech about how “good” pain and suffering is. Turns out, it has something to do with hope, or at least that what he says out loud, but I think the film overall makes a better case that it’s about teamwork. Magneto “loses” for example, because he breaks from the group to take matters into his own hands. Mystique “wins” because she joins Xavier’s side, if only for that moment. And both antagonists have a warped idea on what teamwork/community really is. Magneto’s ideas is more about blindly lashing out, uniting as a force for war and vengeance, the best defense a good offense. Trask’s ideas is about how humans will need to come together with mutants as their enemies so each side will make the other strong. Or something. His big villain speech was one of those “oh cool! … oh wait” don’t-squint-too-hard-or-it-won’t-look-right kind of moments. Usually, movies like these have some pretty definitive endings– namely, the antagonists die. In this case, however, Magneto flies away after his battle is lost, and it’s more of a philosophical battle, to boot. Trask, also, is spared– obviously, of course, or since that’s pretty much the nature of the quest in the first place. Certainly, that can only mean one thing– sequels! In a very intriguing move, the nature of this time-travel story means that any sequel we get next, however, will be pretty much a brand-new movie. If you didn’t like any of the previous movies in this X-Men film series by 20th Century Fox, then don’t worry. All of that has been erased, for all intents and purposes. Even that woman who Wolverine was so angsty about in over four films spanning nearly 15 years is back– Jean Grey, with a cameo by her original actor, Famke Janssen. and maybe you didn’t get this far anyway. I didn’t get to talk about the acting in general (very good,) the effects (ranging from good to OK), and the score (also good.) I didn’t get to talk about Quicksilver stealing the show (which I found fun) and becoming an audience favorite, judging from the theater I saw it in. I didn’t get to talk about the somewhat “choppy” feel of the film (which I didn’t like), as if each sequence of the film felt like it’s own mini-movie or series of related vignettes. 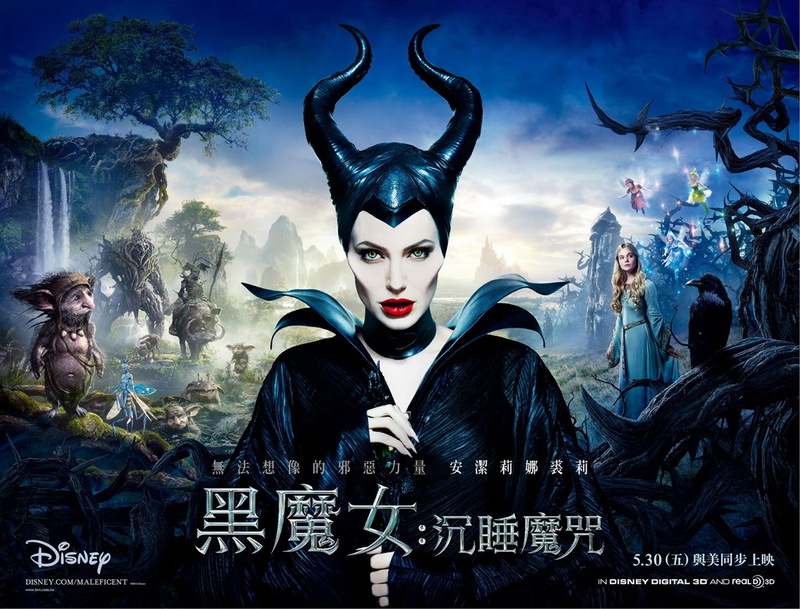 But overall, I enjoyed the film and it’s balance between the epic scale and personal struggles. I think it’s even better than its predecessor, X-Men: First Class, which I rank among the X-Franchise’s best. What I love most about superhero movies is the visceral way that imagination is made “solid.” It’s why most people prefer movies in general over books or something– to see and hear and sometimes even FEEL every blast of superhero power, every explosion, the crunch of fists into concrete (or villains’ faces) is experienced on a different level. If that’s your test, then this movie does rise to that challenge and even succeeds, as I said in my previous post on “What’s Good.” So I would recommend the film purely in terms of summer blockbuster moviegoing experiences. If you feel that narrative structure and clear development of main characters are important, then this film won’t be for you, however. I can certainly sympathize with your decision and won’t fault you if you want to skip it entirely. There are no plot holes, necessarily, but neither is the plot logic very strong. In other words, there’s no reason that character’s decisions MUST necessarily follow from their choices, and the result is that these characters are strange to us. This is happens not only with our leads but it’s even moreso a problem for the villains, who seem to exist in a weird, B-plot alternate reality that somehow finds its way into the main storyline at a couple of points. Also, while I’m indeed a fan of non-linear storytelling, having Peter and Gwen be together, then break up, then be together, then break up, then be together, is really an example of that. The through-line of the narrative is just a mess, with the exception of the very final decision at the end of the film– Spoiler alert! Peter Parker chooses to be Spider-Man. In this case, to be fair, it felt like an appropriate decision of the character and did help to establish a theme for our story. Other parts to the story seem like they were meant to be as purposeful as that, but like jokes that fail to “land,” they ultimately feel completely arbitrary. Harry is meant to be Peter’s friend, but also one that they hadn’t seen for over ten years, so why should Peter suddenly go check on him? Harry’s dad was meant to be behind all the horrors of OsCorp, so why not have him the victim of a medical condition turning him into a Goblin creature, conveniently explaining that to his son so that he can turn into an evil Spider-Man villain, too. And I’m not sure if we are meant to think Harry is smart for figuring out Spidey’s secret identity, or if it’s just a hand-wavey shortcut to get to the final sequence. I’m not sure about the logic behind having Parker’s parents shown in this story, either. The very first sequence of the film is spent in flashback as Peter is left behind with his parents so they can escape some OsCorp evil henchmen who are after their research, and they even get an action scene! Then, in a weird kind of C-plot, Peter occasionally glances at the reminder of his parents, his dad’s leather man-bag, and grows increasingly angsty about it, maybe even crazed, until he uncovers the clues to lead him to a hidden lair that contains a mysterious lab for some reason, one completely operational and with a message already downloaded and ready to go from 15 years ago/our initial flashback. You’d be hard-pressed to really connect this to any part of the overall story– maybe it helps explain something going on in Harry’s story, and maybe it helps thematically for Peter to “keep calm and carry on,” but isn’t that when Gwen’s supposed to be doing? This is just a weak addition to an already flawed story structure. It’s too bad that I have to spend all this time before coming to who is supposed to be the main villain of this film, Electro. The film itself kind of forgets about him, too, which is doubley ironic (meta-irony?) since his main characterization is how he just wants to be recognized. He shows up amid the opening sequence that serves as Spider-Man’s introduction/reestablishment of character, abilities, setting, etc., and has a couple of cut scenes in that jumbled, zig-zag plot pattern I already talked about. 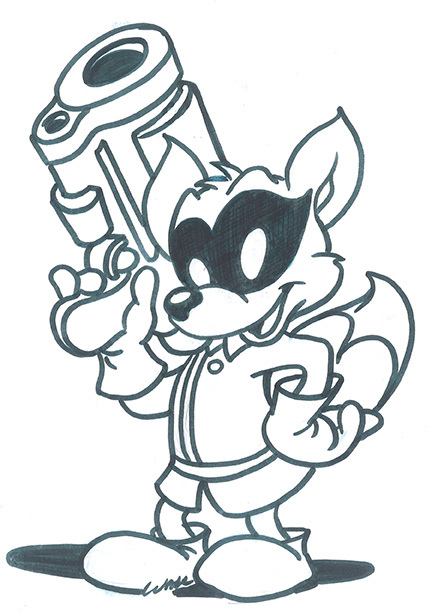 Great care is made to give this character a lot of pathos, and Foxx does his best to really emote a genuine connection with the audience, so it’s kind of tragic, maybe even oversimplifyingly so, that he degenerates into a more cliche villain and finally into simply being a force of nature by the end of his appearance. Once again, there appears to be some purpose for hammering his origin and its emotional resonance so hard, but in the end the audience would really have to stretch to make a thematic connection to Spider-Man’s own journey. Overall, the filmmakers seemed very interested in how to set things up, and they also seemed really interested in how the film ended. But in-between, everything is too muddled and disjointed to really say it’s an overall “good” story. Let’s hope all the “What’s Good” I talked about in the previous post is enough to satisfying movie-goers. In fact, I can report that the audience I saw it with, in Taiwan, felt most of the important story beats, and I’m pretty sure that they were all unaware of the Gwen Stacy story from the comics, judging from their reactions. That scene came off surprisingly well, from the performance to the camera to the music. I even heard some sniffles. I’m not sure the theme came through, however. My friend told me he didn’t like the movie because of what happened in that scene. I tried to explain the great tragedy of being Spider-Man, but he wasn’t convinced. I guess he wanted something a little bit more typically Hollywood in the ending. 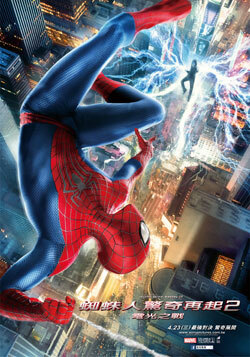 First and foremost, as a superhero action movie, The Amazing Spider-Man 2 delivers. It’s a fun audio-visual party with is mix of action, effects, sound, and creative use of space. There are four or five key action sequences (depending on if you count the last one as two separate sequences) and when Spidey is involved, there’s a good mix of quick action and imaginative use of his powers. Although I did not see the film in 3D, it’s obvious that this sensibility was used by director Mark Webb (no pun surely intended.) The world of Spider-Man naturally lends itself to this, as the character swoops among the buildings, using the z-axis almost as much as the x and y. This is what makes the action exciting, too, as the production (largely headed by Sony Pictures Imageworks) can take advantage of characters in animation in a 3D space, resulting in genuinely exciting action that you won’t see in any other kind of movie. 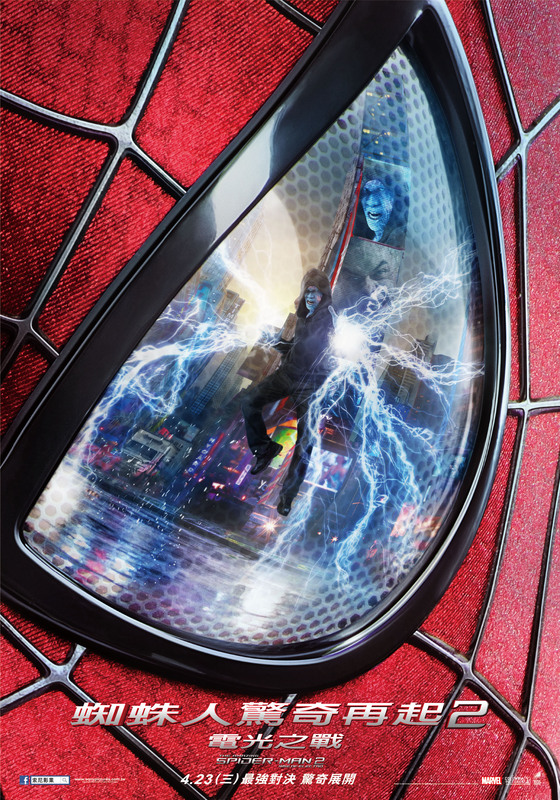 As one example, the film shows us Spider-Man’s use of his spider-sense when the Electro’s powers threaten a crowd of fleeing bystanders; “time” slows to a standstill and the camera weaves in and out of the people and up and down some stairs before returning to Spider-Man and playing out the scene. In the most significant scene, the climax taking place in the long neck of a clock tower, the 3D I’m sure adds to the depth of field and thus heightens the tension and so serves an important storytelling moment. Of course, there are more examples of the egregious kind, like an electric eel flying out to the audience, which just serves the “jump atcha” factor and little else. I usually don’t notice music or soundtrack during a show, and it’s probably an overlooked but critical part of any filmmaking. It’s a kind of unconscious praise when the soundtrack/sound editing is good, because it’s not meant to draw attention to it. I’ve been trying to train myself to be more conscious of it, and I remember remarking to myself that the music and sounds are nice. There’s nice, swelling, epic music appropriate for superhero film, and a kind of motif for specific characters, and there’s even appropriately catchy, upbeat music for various motages. The designs overall are quite nice, too, with visuals for Electro and the Green Goblin that are genuinely creepy and cinematic. The Rhino’s costume/body armor does so, too, but takes it a bit too far, and loses the sense of being a comicbook movie. (That said, if you are waiting around to see a giant throw-down between him and Spidey, you’ll be disappointed. That conflict is barely more than a “montage clip.”) However, all the other design choices a passable, at best. Peter Parker in his civilian outfits are “normal” to the point of being indistinct, as is Gwen Stacy, who is the only one dressing for work at OsCorp like it’s Casual Friday everyday. And, while Harry Osborn is offered a bit more style and thus makes a clear contrast when he shares screentime with Peter, it doesn’t serve the story purpose when they are visually disconnected when they try to verbally connect. Well, as you can see, my review is starting to devolve into only mixed praise. In the next post, “What’s Bad”, I’ll jump right in with all the negatives. Because, frankly, the actual story of the movie is a bit of a mess.